Brazil Minerals, Inc. (OTCQB: BMIX), (the “Company” or “BMIX”), a U.S. holding company with revenues from sales of polished and rough diamonds as well as gold bars, all from its own production, announced today that it had purchased and formally received title to the remainder of Mineração Duas Barras Ltda. (“MDB”) that it did not own before. MDB is the first operational, revenue-generating business owned fully by BMIX. Aside from regular payables for operations, there is no debt in MDB. MDB owns mineral rights encompassing approximately 1,404 acres, including a fully-operational mining concession with the largest alluvial processing plant for diamonds and gold in Latin America. MDB has NI 43-101 geological reports and a bankable feasibility study on file with the local mining authority. It also has the permit to export its production of rough diamonds as well as its own cut and polished diamonds. All of MDB’s mined diamonds qualify for Kimberley Certification, which is essential for access to the global markets. The global Kimberley Process Certification system was established by the United Nations to prevent “conflict diamonds” from entering the market; Brazil is a signatory to this agreement. For the final payment for completing its ownership in MDB, BMIX disbursed $200,000 in cash and issued 2,142,857 shares of its restricted common stock to a private individual. MDB now fully-owned, BMIX will no longer have to expend capital or issue stock for additional ownership interest in MDB. Brazil Minerals, Inc. (OTCQB: BMIX) is a U.S. holding company with revenues from gold and diamonds and ownership of interests in projects in diamonds, gold, high quality sand, titanium, vanadium and iron in Brazil. In particular, BMIX fully owns Mineração Duas Barras Ltda. 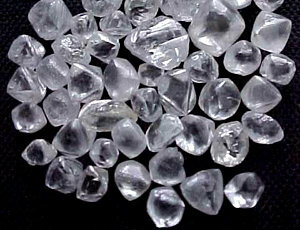 (“MDB”), a Brazilian producer of diamonds (both rough as well as its own cut and polished), gold bars, and sand. MDB has a fully-operational mining concession, the largest alluvial processing plant for diamond and gold in Latin America, and the permit to export its production. PaZoo Inc. (PZOO) Is Bullish on Investors ❤ and Good Health!